Criss will collaborate with Larry ’Ratso’ Sloman on the book ’Makeup to Breakup,’ which is scheduled for release in fall 2012. Publishing house Scribner, an imprint of Simon & Schuster, has acquired worldwide and audio rights to the life story of Kiss drummer Peter Criss. The book Makeup to Breakup is scheduled for release in fall 2012 . According to an announcement, Criss will collaborate with Larry ”Ratso” Sloman on the book, which tells the story of ”a Brooklyn kid who conquered the world, composing and singing the band’s biggest hit ’Beth,’ and faced the perils of excess and his own mortality, including his battle with breast cancer.” Sloman has also co-authored books with Howard Stern (Private Parts, Miss America) and Red Hot Chili Peppers singer Anthony Kiedis (Scar Tissue). 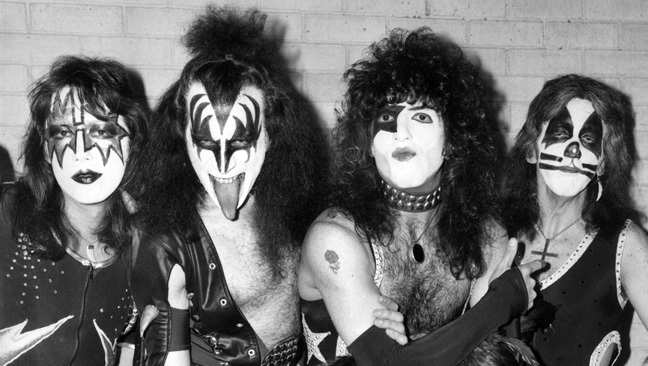 Criss’ former KISS bandmate Ace Frehley announced last year that he is also working on an autobiography. Gallery Books, also an imprint of Simon & Schuster, will release the 59-year-old guitarist’s memoir No Regrets this summer.